Organizations are increasingly being held accountable. But what does that mean for individuals in the organization? Concepts like “single point of accountability” and “lowest point of accountability” help. But they are not sufficient. 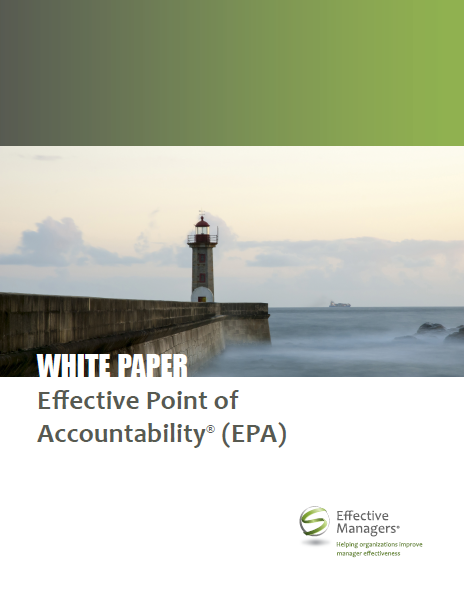 This document works through the concept of accountability as it applies to managers and employees throughout the organization. It then provides concrete examples of how organizations can establish accountability for work as it flows down the organization, and as it flows across the organization.